Yay! I am happy that Kid's Clothes Week is here! I have been having lots of fun seeing what other people have made. For my first project I decided to try my hand at making some Parsley Pants. I would like to try a pair with a flat front waist, pin tucks, and box pleat pockets so I wanted to be sure that the pants would work well for my nephew first. 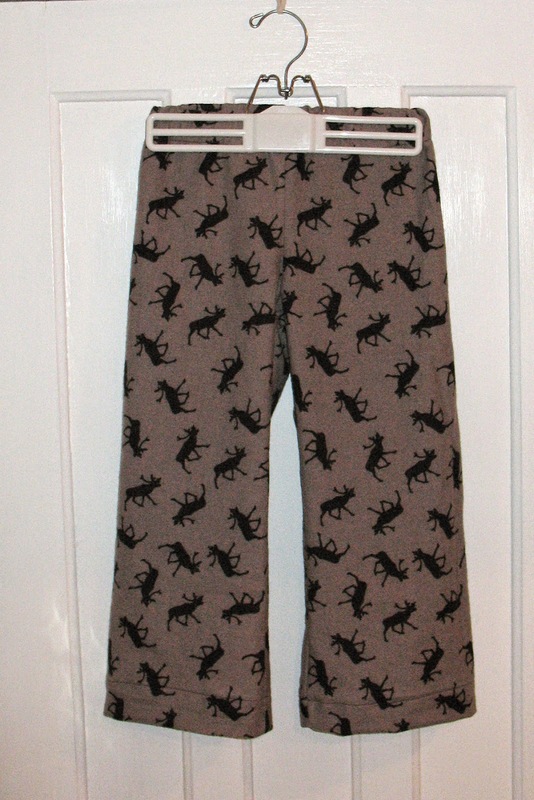 It seems like there will be a few more nights of flannel PJ pants wearing this season so I whipped up a pair of PJ pants following the basic pattern out of some moose flannel. I plan to mail them in the morning with any luck I will here how they fit quickly so I can proceed with some other pants! Hopefully the rest of the week I will manage to finish before dark so I can get better pictures! Now that my sewing is done I can go check out to see what others have made!